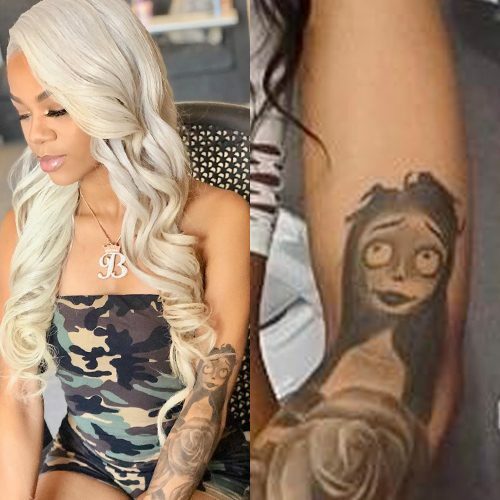 Molly Brazy has the Corpse Bride tattooed on her left arm. 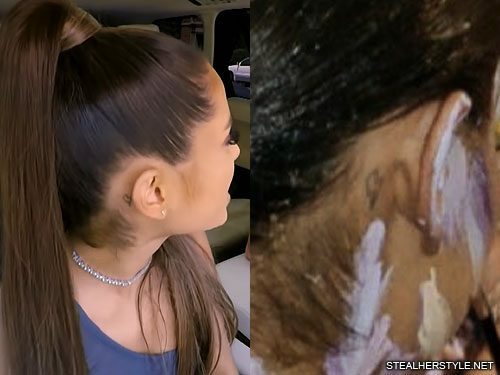 Ariana Grande got a little outline of a lightning bolt inked behind her right ear in June 2018. 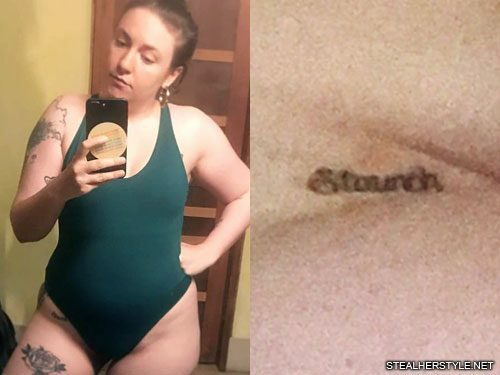 She hasn’t talked about this tattoo, but it’s almost certainly based on her love of Harry Potter as she’s known to be a huge fan of the series. 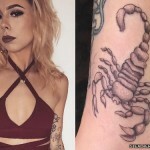 Her fiance Pete Davidson has his own lightning bolt tattoo on his wrist, though his looks a lot different. 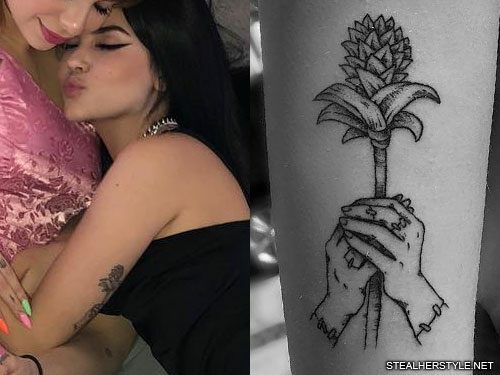 He’s had his for a long time, but it was another one of his Harry Potter tattoos that caught Ariana’s eye the first time they met on the set of SNL. 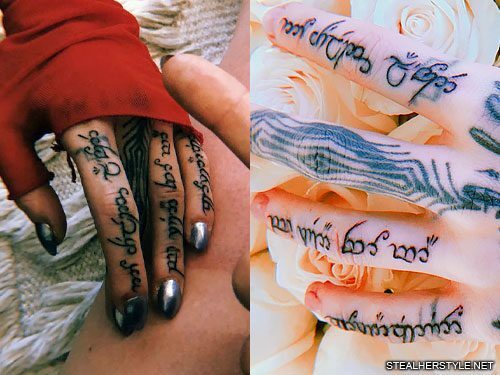 “I remember I looked off stage right…and I saw he had his sleeve [up] and I saw the Deathly Hallows [on his arm] and the tiny tip of a Dumbledore quote,” she told Zach Sang. 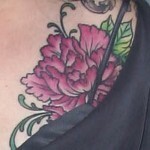 “I thought he was cute so I was looking over anyway.” But the tattoos sealed her crush. 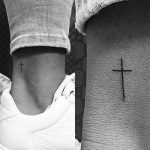 Ariana Grande has a tattoo of the word “always” on left side of her rib cage. 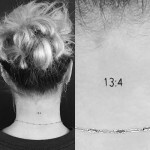 The inking was revealed in the music video for “Bed” with Nicki Minaj in June 2018. 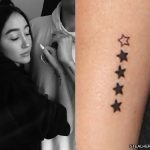 It’s another token of her whirlwind relationship with fiance Pete Davidson and it appears to be written in his handwriting. 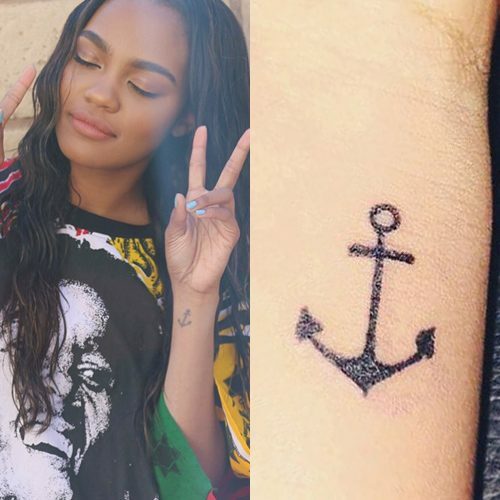 Fans have compared it to a letter that he wrote to show that it’s a match. Her choice of the word “always” is presumably a reference to the Harry Potter series. 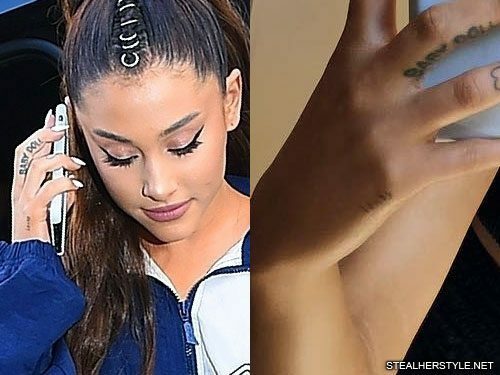 Both Ariana and Pete are huge fans and they’ve got other Harry Potter tattoos as well. He has the Deathly Hallows symbol on his arm, a lightning bolt on his wrist, and a long quote in the Harry Potter font. Ariana’s an even bigger fan and he’s mocked her encyclopedic knowledge of every minor detail in the books. 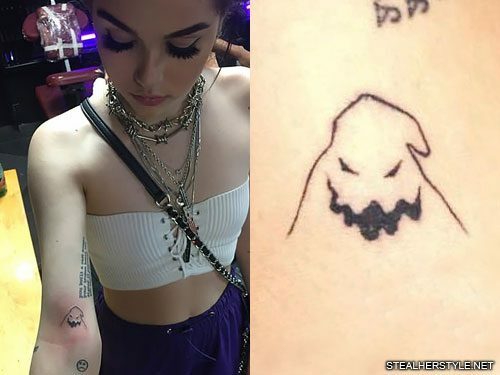 Maggie Lindemann got her second The Nightmare Before Christmas tattoo in July 2018, this time of the Oogie Boogie Man on her upper right arm. 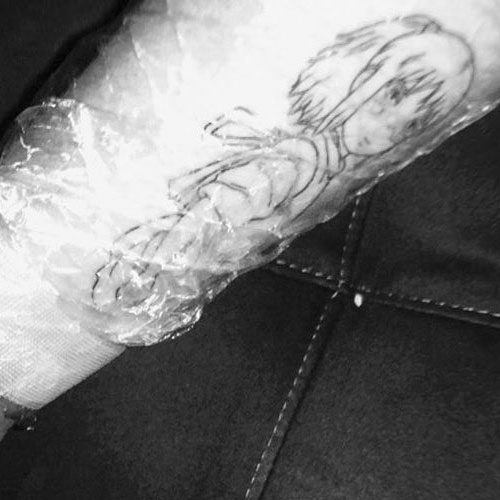 Her friend Aubrie-Elle was with her and got her own tattoo of the movie’s main characters Jack and Sally.